Anchored by the famous (and manmade) Turtle-Flambeau and Gile flowages, Iron County lakes are the result of the most recent glacial epoch and range in size form less than 50 to over 780 acres. The Turtle-Flambeau Flowage deserves special mention as this sprawling impoundment offers superb fishing and wilderness aesthetics. 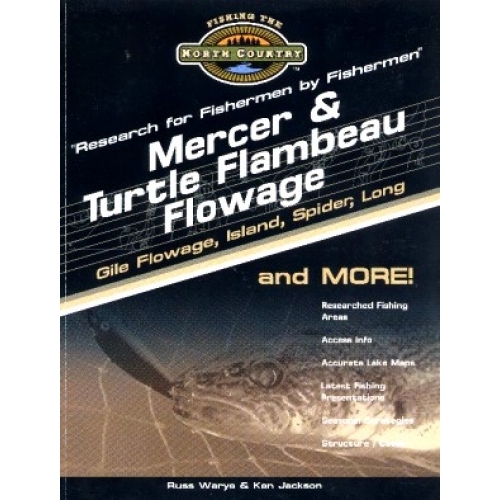 While the total county has 154 lakes with public access, the majority of the premier fisheries and outstanding destinations are in the Mercer region, with the notable exceptions of the Gile Flowage and Island Lake, which are located north of Mercer and the Turtle-Flambeau Flowage. This region of northern Wisconsin is important to Midwestern anglers and offers wilderness aesthetics and numerous small lakes, awaiting discover for those willing to explore and "play" in the big woods. The town of Mercer servers as "headquarters" for the flowages and lakes and there is a perception this region is "wild and wonderful". 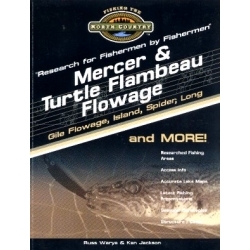 Some of the lakes included in this book are: Beaver Lake, First, Second, Third Black Lakes, Brush, Catherine, Cedar, Crystal, Deer, Dollar, Du Page, East Twin/West Twin, Echo, Evelyn, Fisher, Fox, Frog, Gile, Grand Portage (Tank), Island, Kelly, Lake Of The Falls, Little Moosebow, Little Pike, Long, Martha, Mercer, Moose, Mud, North Bass, Norway Pine, Oak, One Man, Owl, Oxbow, Pike, Pine, Plunkett Lake (Sugar), Rice, Sandy Beach, Sherman, Six, South Bass, Spider, Spinnet, Trude, Turtle-Flambeau Flowage, Twin, Wilson and Woodson lakes.